Staying on top of online marketing trends requires looking ahead to see how technology, Internet usage, and online services are changing. With 2016 fast approaching, there are several big changes on the horizon that will change the way content is marketed online. Virtual reality: Virtual reality technology is set to make its debut in 2016. The Oculus Rift, a system which immerses users into virtual worlds for gaming, social media, and other applications, will be released in early 2016, with several competing virtual reality systems to follow. The unprecedented technology will open up an entirely new realm of online marketing. Oculus has been acquired by Facebook in a deal worth $2 billion. Given the focus Facebook has placed on monetization and marketing with its previous acquisitions, it is safe to assume that there will be plenty of opportunities for marketing with virtual reality. Mobile apps: 2015 was the year that mobile usage finally began to surpass desktop usage. Google announced that it is primarily accessed through mobile devices in the U.S. and several other countries. This trend will continue to grow in 2016. Mobile apps, such as Snapchat, will become more prominent outlets for marketing as they grow in popularity. 2016 may be the beginning of a shift away from websites to apps. U.S. presidential candidates campaigning on Snapchat is only a sign of things to come. Integrated ads/monetization: With the rise of mobile apps, integrated ads will become increasingly used. As platforms and apps monetize, online marketers will more frequently have to create and work with platform-specific content. This will mean that rather than reusing content across a broad spectrum of websites or services, marketing will have to be more diverse and targeted in 2016, tailored for specific apps and websites. Wearable technology: With the release of Apple Watch this year, wearable technology is set to grow increasingly popular in the year ahead, opening up plenty of marketing opportunities. Wearable technology is being expanded to jackets, bracelets and other accessories. Hotels are already using wearable tech to advertise their services. The ability to advertise directly to a person through their watch or clothing will potentially allow marketers to target people based on their daily routines. Video: Watching video is the most common Internet activity for teenagers in the U.S. While YouTube remains the top video-streaming service; most other social media sites and networks have created their own integrated video capabilities. Reaching audiences will increasingly rely on being able to either create videos or use videos as part of marketing content. 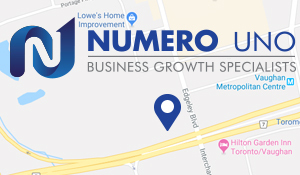 Numero Uno Web Solutions is a provider of search engine optimization (SEO) solutions to start-up and small companies from all industries and fields. We stay on the pulse of industry changes and adapt our practices to produce quality SEO and content marketing plans to fuel the growth of businesses across communities. Click here to learn more about content marketing techniques and how we can help improve your search profile.